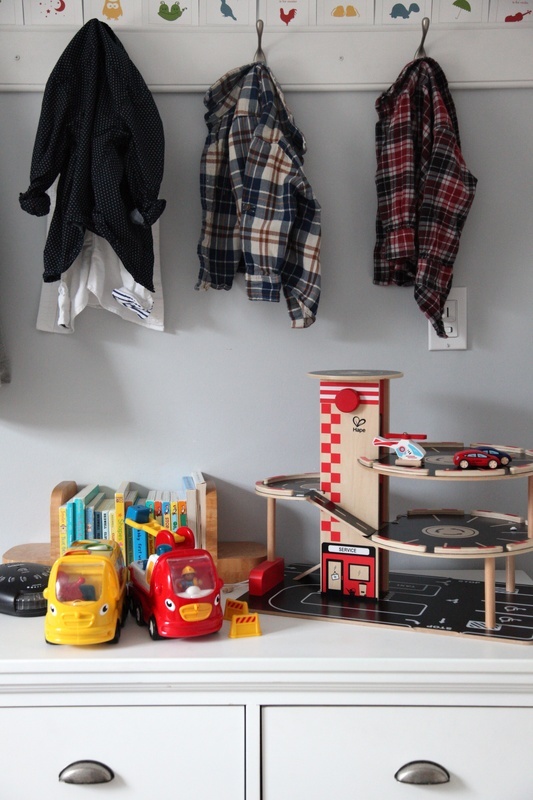 8FOOTSIX: Styling the baby's dresser: Found a place for my book ends! Styling the baby's dresser: Found a place for my book ends! 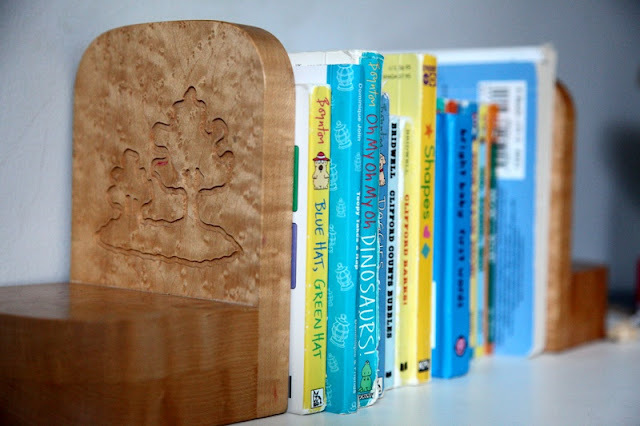 I bought these chunky wooden tree book ends two years ago, and they have been sitting on the shelves in the storage room ever since! I wanted to style up and organize the top of the dresser in the nursery and I was glad to have them on hand*! You see, yesterday, I was walking down the same block as Goodwill and I didn't go in. I mean, if you spot me in a thrift store, you won't see me hesitate- I like it, I buy it! Except, I am pretty sure that the definition of thrift is not: spend-cash-on-things-you-don't-need-and-hoard-them-in-your-basement. But then this one little bit of staging gives me the go ahead to keep on thrifting! Hey - I like that! Keep on Thrifting...this is my new slogan! Or perhaps, Exercise caution while Thrifting should be my motto. I'm on fire! Quick - someone make a poster and pin that sh*t! pps. we are hitting up the big box stores or a nursery this weekend to shop for more house plants. I need more green in my life! Maybe this is my way of welcoming (beckoning) spring! ppps. the pictures should come back from the frame shop next week and I will show you them as soon as I get them up on the walls! I love those bookends! My weakness is Kijiji (which everyone uses instead of CL in Halifax for unknown reasons) - I'm always tempted to buy things I don't need because they're a good deal. I can't tell you how many times my husband has had to save me from myself by just refusing to go help me carry something haha. ok where did you get that cook parking lot toy!? Leo would love that! i think it's from mastermind! I know I should comment on the bookends but I can't stop looking at the sweet parking lot tower thing. Do your sons like it and play with it? It's such a cool design. Those bookends are so sweet! They look like birds eye maple too! good thrifting... love the wee little plaid shirts and the car park too--Hape makes the nicest toys..
We have three...this one, a vintage fisher price one, and a new fisher price one...so I rotate them around ...when it comes back off the dresser...or when they look up and notice it, they will play with it again for days and days...gotta get the toys they drift away from out of sight for a while...they forget about them, then they get excited to see them again! At least that's how we do it!